Summer Infant, Inc., a leading developer and distributor of juvenile health, safety, and wellness products, announces the long anticipated in-store arrival of their newest product, the Prodigy™ Infant Car Seat™ and Travel System. This car seat marks the company’s first entry into the category and is now available to consumers on BabiesRUs.com and in-store. Unique SmartScreen™ technology located on the base provides clear, step-by-step instructions that guide parents through a simple process to correctly level and tighten the base. It also provides visual confirmation – via a smiling face – when each installation step is completed properly. Easy-to-use belt tightening system that firmly fastens the base to the car. The Prodigy eliminates the guesswork for parents and electronically ensures a proper fit every time. The base also includes a test button parents can press at a recommended 30-day interval, to make sure the seat is still installed correctly. 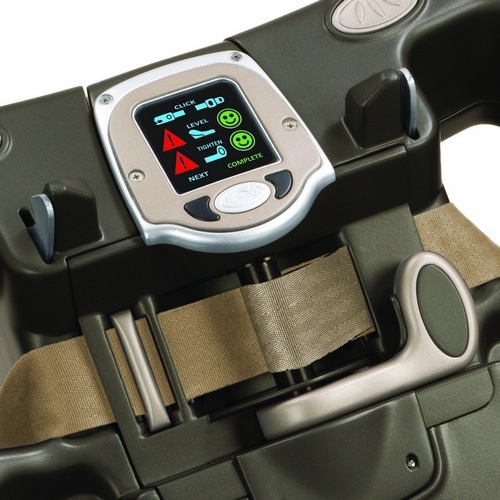 The SafeGuard™ 1Adjust™ harness system allows parents to easily adjust the harness straps with just one hand – to quickly and correctly fit the straps to the child without rethreading. Regardless of a child’s growth or seasonal clothing, the harness straps easily retract around baby for a perfect fit every ride. In addition, the car seat accommodates infants 4 to 32 pounds and up to 32 inches in length. It also features a removable newborn body insert and head support to cradle baby and can be purchased with a full-featured stroller as a travel system. The Prodigy™ Infant Car Seat and Travel System can be purchased as a standalone car seat with base (SRP $179.99) base only (SRP $89.99), travel system (SRP $329.99) or as a standalone stroller (SRP $169.99). Depending on the product assortment, there are up to four different fashions available. One (1) lucky LAB reader will receive a Summer Infant Prodigy Car Seat of their own! Click here to leave your email on the contest entry form. Become a fan of LAB’s Facebook Page. Then leave a comment on the wall saying you love the Summer Infant Prodigy Car Seat giveaway. Tweet this message: “Hope I win the @summerinfant Prodigy Car Seat giveaway from ladyandtheblog.com (@verasweeney). RT to Enter #contest #giveaway”. Fan Summer Infant on Facebook and leave this link on their wall saying you are entering the Lady and the Blog Prodigy Car Seat giveaway on ladyandtheblog.com. Visit Summer Infant on YouTube and leave this link on their wall saying you are entering the Lady and the Blog Prodigy Car Seat giveaway on ladyandtheblog.com. If we win this will be a sign we will have a baby! fb fan of yours. left a comment. amy bolda pugmire. I followed them on FB and left a comment! I FB liked Summer Infant and left a message on their wall. 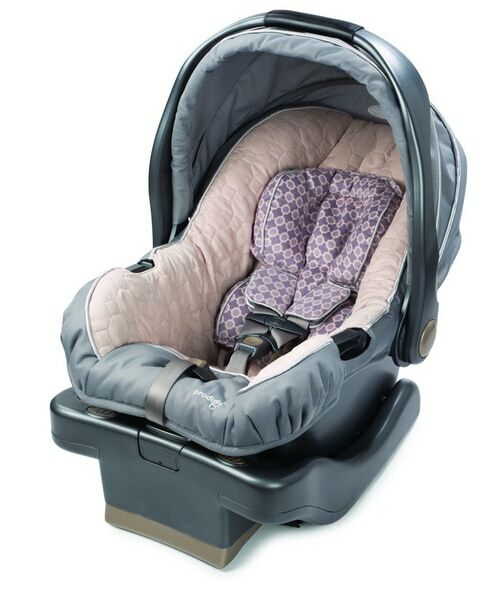 I would love to win this… This is my first baby and it is a girl… I would love to bring her home in this car seat…. Love your pages tooo! Like Summer Infant on FB and commented! Blog Prodigy Car Seat giveaway on ladyandtheblog.com.